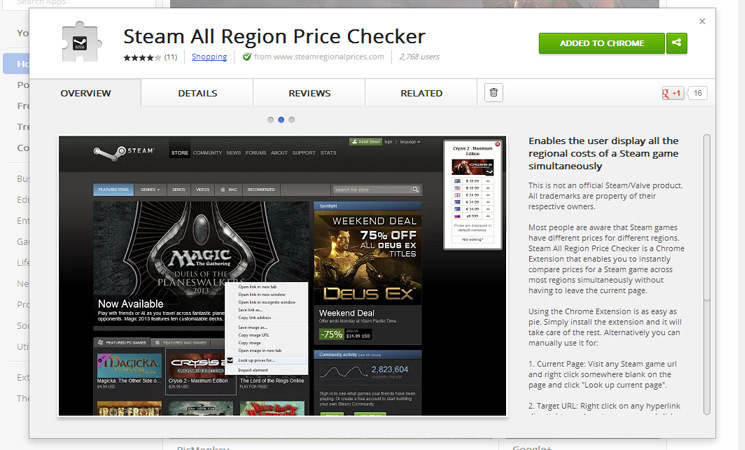 Steam All Region Price Checker is a web app and Chrome browser extension designed and developed entirely by me as a private endeavour. 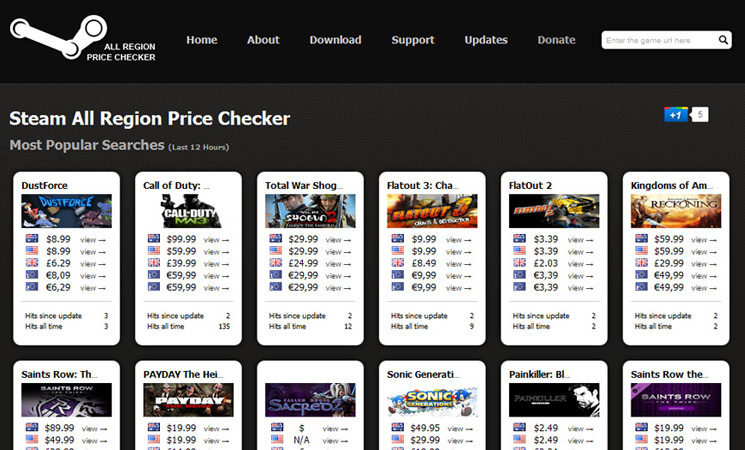 Its purpose is to allow a user to compare the prices for games on Steam across various regions simultaneously. 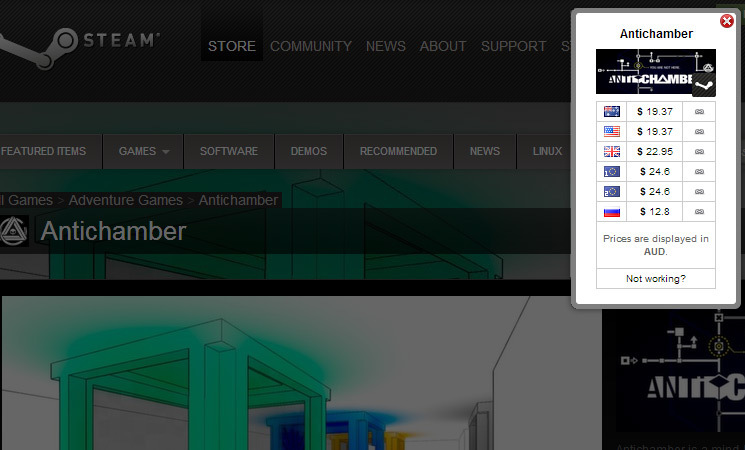 The Web App was built using CodeIgniter and offers a (soon to be) public API which queries the prices of games in the various regions. There is also an Opera Extension which has been developed by a third party and is using my Web App to retrieve the prices.